So as you can imagine, the Aradani crew is quite into tabletop roleplaying. And while we have been playing Michael’s RPG system, SagaBorn, lately, we have always played Dungeons and Dragons. Or at least since we were old enough to be cool. So we decided that we would all do costumes of our favorite all-time D&D characters. Laura – Xyla Xibbadobbler Switftdigit III – Xyla was Laura’s second ever RPG character. Back then we were playing the Pathfidner Roleplaying Game instead of DnD, but we were still adventuring in the Aradani world of Atheles. 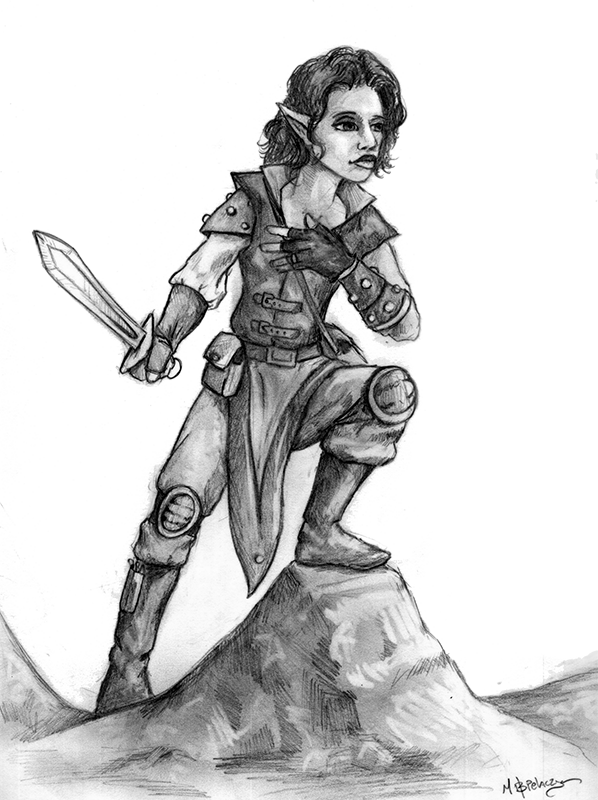 Laura’s first character was a dark elf warrior, which was hard since she had never roleplayed before and a mean, violent character didn’t fit her. That character found her end after stabbing a hill giant in the eye, or at least trying to. So she rolled up a new character, a elfling rogue. Elflings are from Atheles and kind of like halflings, with a little more meat to their backstory. Michael – Remli – Having always been the Dungeon Master, Mike’s favorite character is a NPC who accompanied one of the first Dark Return groups to ever exist (this campaign was actually before Aradani was even formed). Remli was a fun dwarf who helped set the tone for the Dwarves of Greyhelm. He was funny, a little unstable, and a little nostalgic for his old home. 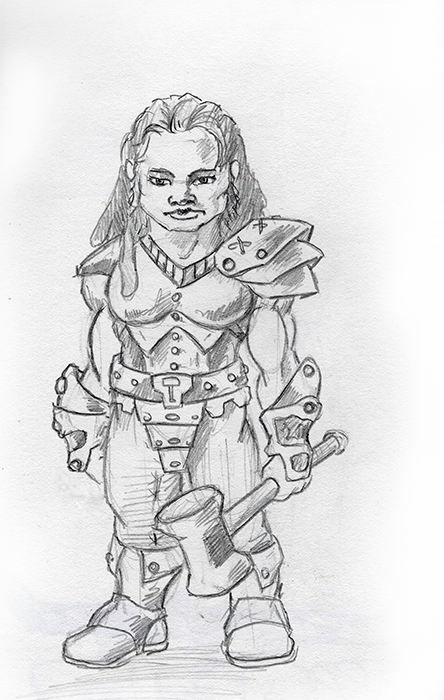 Sara – Laurel – Sara’s favorite character was her character in our Dwarven campaign, Laurel, a take no prisoners female dwarf who was a little aggressive and a little more grimy. She didn’t bath or clean much save her hair and her battle equipment. She loved her dreads and long mutton chops, but not as much as her two warhammers Eringmort and Aperinim.